SSAB strives to be one step ahead legislation and therefore wanted to remove the biocides from their process fluid. Since September 2010 the bacteria is reduced with a Fluid Control Systems. SSAB is a world-leading supplier of high tensile steel. The company has a strong environmental profile and endeavours to reduce its use of chemicals that pose a risk to the environment and people’s health. Almost 15 machine tools are connected to a so-called central cleaning system in the machine workshop where the Fluid Control System was installed. The environment affects just over 40 people. The machine workshop effectively operates 24/7, 365 days of the year and is a significant department in terms of ensuring the operations of other parts of the company. 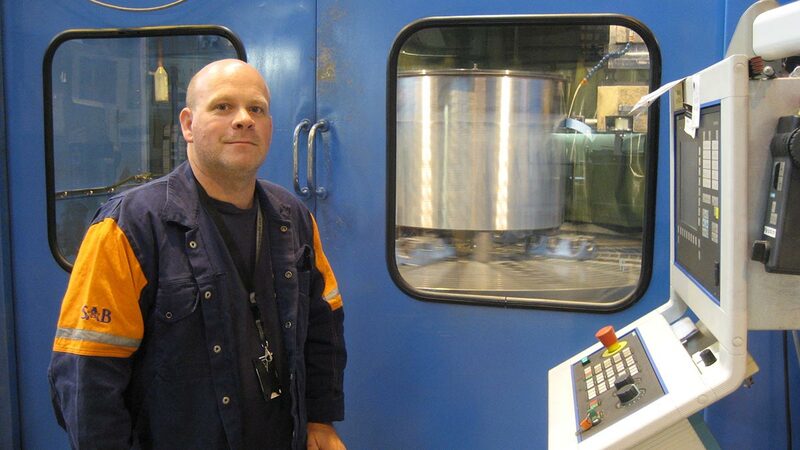 – Process fluids are a very important work environment issue for those of us who work in the machine workshop, and one that affects the health of a large number of people, says Anders Jacobsson, Assistant Manager of the SSAB machine workshop. SSAB’s goal has been to eliminate or drastically reduce the use of biocides in the process working fluid because it has an impact on employee health. Despite the use of biocides, the process fluid had to be replaced several times a year – resulting in unplanned operational shutdowns that impacted production and gave rise to substantial costs in connection with the decontamination and destruction of the fluid. After the installation of a Fluid Control System from Wallenius Water Innovation, the smell that sometimes was present in the facility was completely eliminated and there has been no reduction in the efficiency levels of the process fluid. Air quality measurements taken by the Work & Environmental Medicine Department of the Örebro University Hospital before and after the installation of the Fluid Control System show, amongst other things, that levels of formaldehyde in the premises have fallen dramatically – a natural result of eliminating biocide addition. – One of our goals is to always be at least one step ahead of legislation when it comes to our employees’ work environment, says Anders Jacobsson. SSAB implements a stringent environmental policy that endeavours, wherever possible, to avoid or reduce the use of biocides and other chemicals. 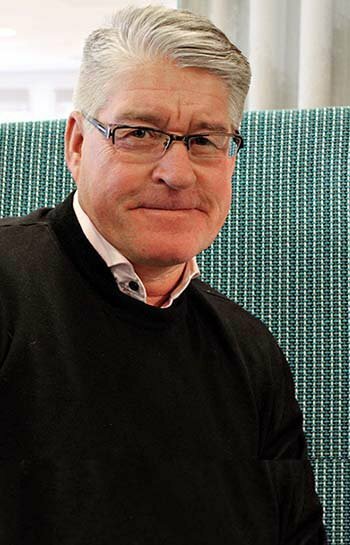 – When our process fluid supplier introduced Wallenius Water Innovation’s chemical-free cleaning technology and proposed a study with detailed follow-ups, we felt that this was very much in line with our environmental work and goals, says Anders Jacobsson. SSAB has suffered from bacteria-related issues for a number of years but has now demonstrated that the growth of bacteria in the process fluid can be controlled without high biocide levels. It should also be noted that this has been achieved during a warm summer, which is normally the most testing of conditions with regard to this problem. Today, with the help of air quality measurements, SSAB has verified that not only have biocide levels fallen to a minimum, but bacterial levels have fallen to below upper limit values. – We’re very happy with the results, because we know what a challenge it is to keep the metal working fluid in good condition and bacteria-free, says Anders Jacobsson. SSAB is a world-leading supplier of high tensile steel and offers products developed in close cooperation with its customers with the aim of creating a stronger, lighter and more sustainable world. SSAB has employees in over 45 countries and production facilities in Sweden and the USA.